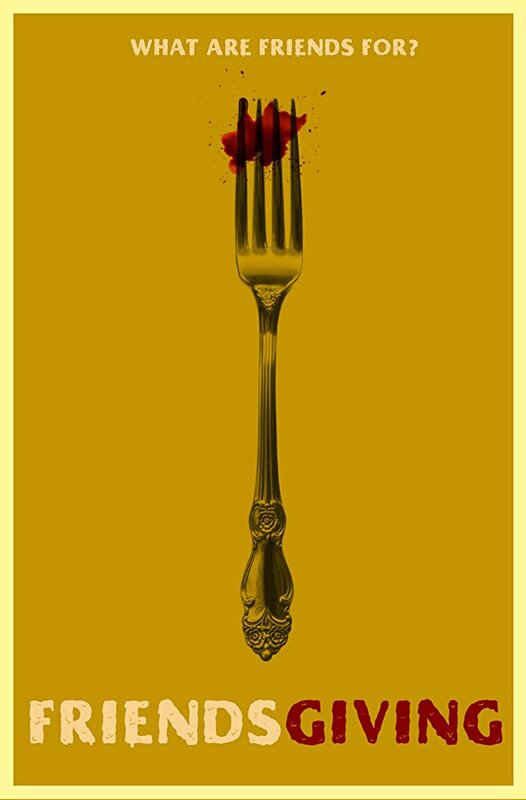 Friendsgiving is a short horror that clocks in at around the 7 minute mark, it was directed and co-written by Samantha Kolesnik and as the title may suggest is set around Thanksgiving. While this is a horror comedy it was good to see the horror aspect was quite strong here, despite the humour here it was more bleak than I expected it to be which is only a good thing. I thought that this was going to be more light hearted but right from the start there is an ominous tone that is created from a combination of the lighting, the sinister soundtrack playing, and Otwell's intense performance. I felt that Otwell and Andrae in particular were very well chosen for their roles; the first being very creepy, and the later being likeable. The meat of the short is the dinner itself that is layered with warning signs for the poor girl, the best being a random guy running out the kitchen shouting for help as Grace's husband wearing a plastic apron chases and captures. It may all be familiar stuff but it was expertly shot with the camera quality in particular standing out. Friendsgiving may have went plot wise in an obvious straight line but it was a fun short that was well made with some great casting choices. A nicely directed little dose of darkly comedic horror that stayed away from being too goofy.